ZONEX Non-Metallic Terminal Enclosure is ideal for field terminations in hazardous locations. The enclosure meets national and international standards and certifications. 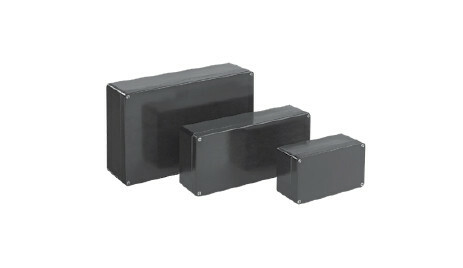 It can be used to protect equipment and terminations from corrosive contaminants while meeting rigorous demands. The cabinet is ideal for either panel- or din-mounted components. The enclosures meets ATEX Directives 94/9/EC and IECEx standards for increased safety in housing electrical components in Zone 1 and Zone 2 applications. Download the ZONEX Non-Metallic Terminal Enclosure spec sheet below or call 714.835.6211 for more information.